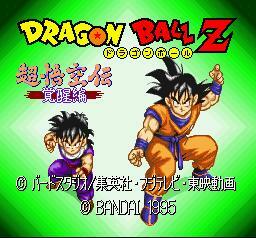 Definitely the newest and the best Dbz game for the Snes. 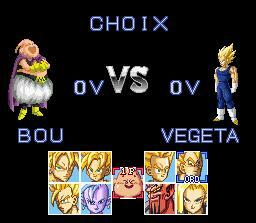 This game is a fighter game with 10 characters with at least 10 special moves each character. 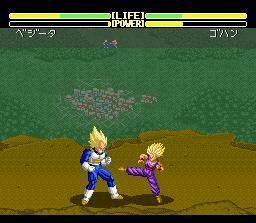 This game also can be moved from different fight scenes when your fighting. Great graphics easy control and good playability makes this a great game. I would recommend this game to any age about 7. It's not that hard to figure out. 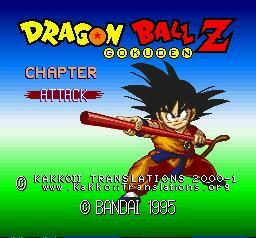 The best Dbz Rpg out there. This game is very hard but very fun. The attack system is like a card game. This game is in English so you can understand. The translation isn't very good but at least it isn't Japanese right? The graphics are great for it's time (1992). But now these are just mediocre. I would recommend this to ages 13 and up. This game is quite hard. 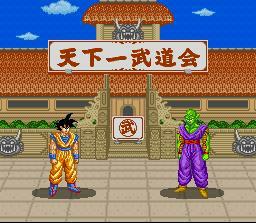 Super Gokuden 2 is almost like Gokuden 1 except for the fact that it is from Dragon Ball Z. 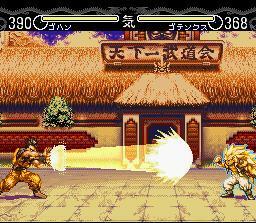 The fighting system is also improved. 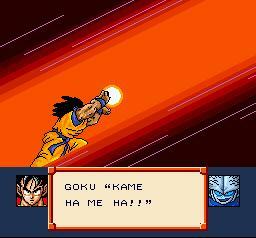 The first Dragon Ball game ever. The graphics are bad. The fighting is choppy. There are very few attacks. Plus it is also in Japanese! I don't recommend this to anyone unless they have a lot of free time to spend. This game is a huge improvement from the first. It has more characters way more moves. The game is much more fluid. Graphics are about the same though. Recommended for all ages. Snes9x: This emulator will cover everything the Zsnes misses. It's a very simple emulator but a good one.